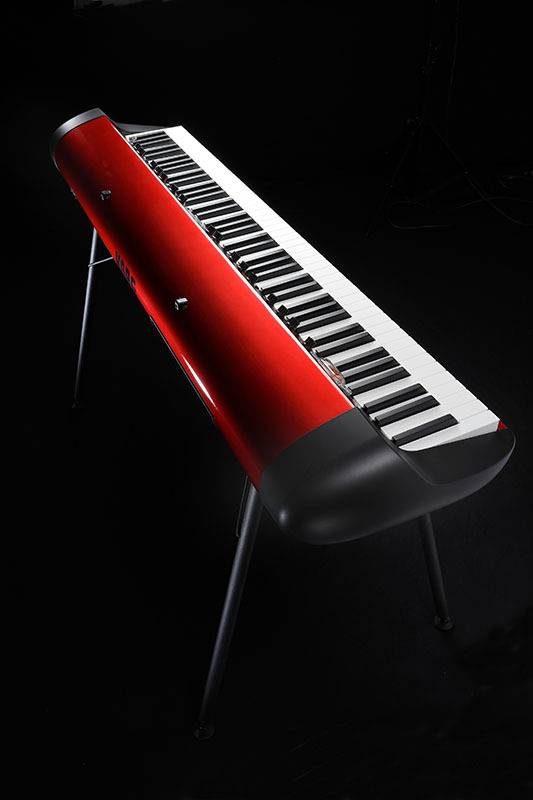 The crimson body of the 73-key SV-1 left a strong impact when it went on sale in 2009. It has since gone out of production, but in response to user requests has now reappeared in a new red even better looking than the original. The glamourous body with its lush curves is coated in a metallic red that sparkles dynamically when viewed from different angles, revealing its luster and depth. This brilliant red is more enticing than ever on stage. In contrast, the operating panel facing the performer features a black color scheme that is easy to read and operate. Hot and cool. This instrument brings them both together. A limited number of SV-1 88-MR or SV-1 73-MR units will be sold go get to your KORG dealer quick if you want to grab one of these.